This little angel got me laughing so hard. 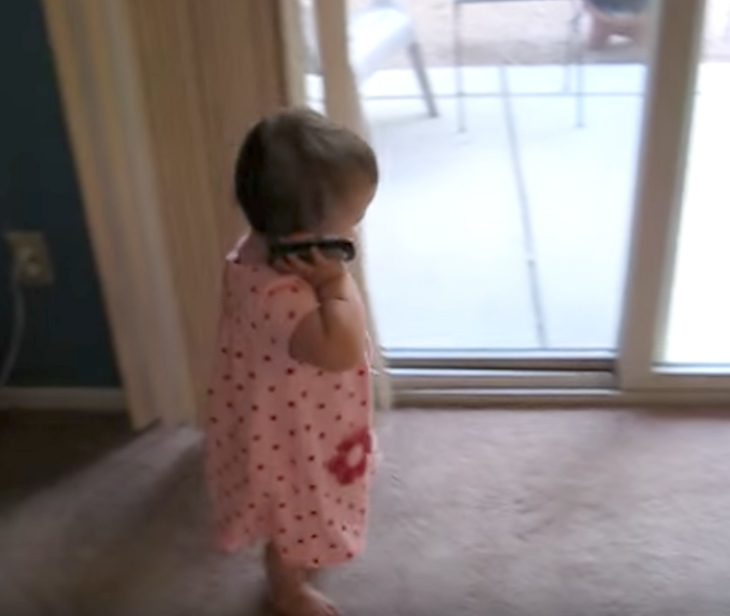 Daddy is out of town for a short trip, but this little lady can’t wait for him to come back home in order to share with him how she spent her day, so she does it on the phone. 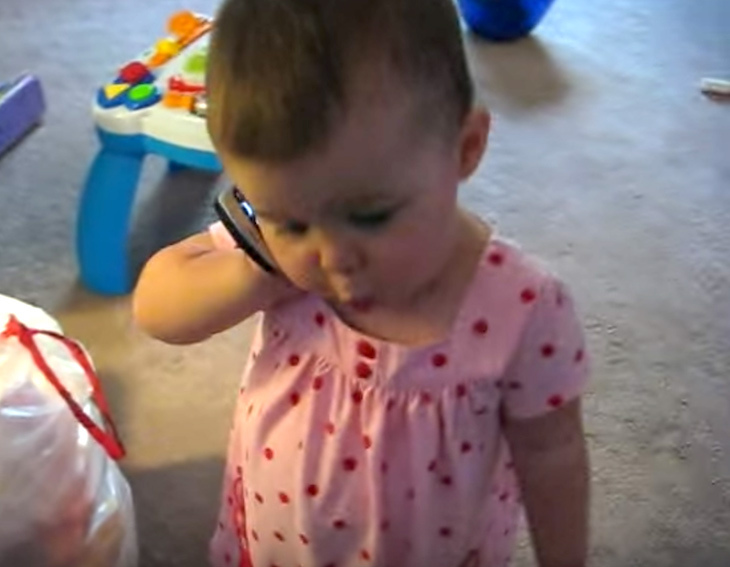 Her mommy can’t even hold the camera straight because she bursts out laughing every time her daughter raises her voice. The conversation is hilarious because Emilia speaks in her ‘own language’ only she understands. 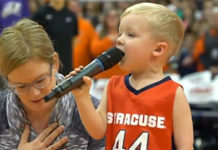 This video will certainly be one of the most cherished memories the family will keep to remind them of how lovely their baby girl was once she reaches her teen years. From the moment Emilia learned how to speak it was more than obvious she wasn’t going to be a timid girl, but a talkative young lady that will make everyone around fond of her chatting. Once she grabs her mommy’s phone, there is no holding back. She makes sure her daddy learns everything about her adventures of the day. It’s so funny that you’ll wish to watch it twice in order to catch some of the words she’s trying to say. She can’t stop talking about the ‘buggies’ she saw, and she does that by walking around the room with her hand lifted in the air, as though her daddy could see what she demonstrates. This is one of the moments of life that most people take for granted, but as time passes by, we realize these ‘small’ things are what make our life ‘big’. 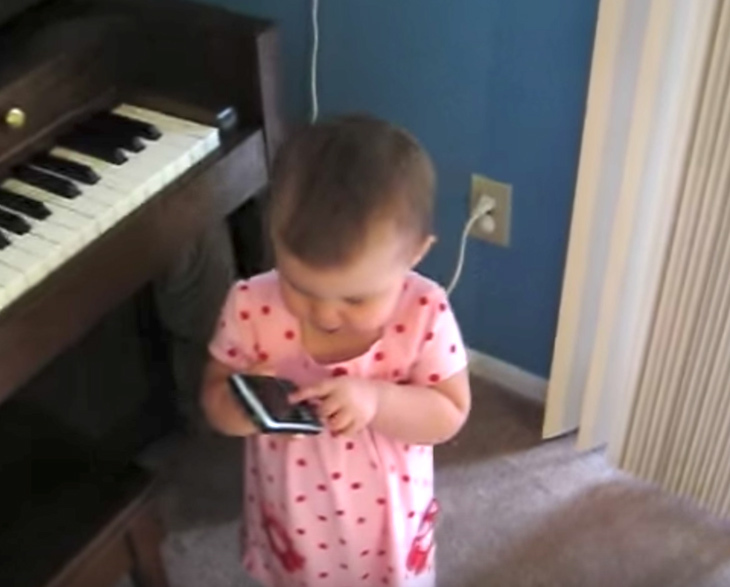 Once the baby falls asleep, her mother rushes to share the video on the social media. She knows her daughter’s conversation with her daddy is amusing, but she had no idea the video would go viral in such a short period of time. In fact, the silly father-daughter chat reached million views in just a couple of weeks.